This entry was posted on November 26, 2010 at 06:54	and is filed under Compliance, Reporting. 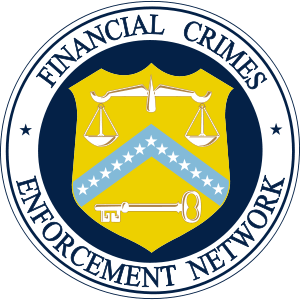 Tagged: Financial Crimes Enforcement Network, Financial institution, Financial services, Money Laundering, Suspicious activity report, United States, United States Department of the Treasury, United States Secretary of the Treasury. You can follow any responses to this entry through the RSS 2.0 feed. You can leave a response, or trackback from your own site.